Read the instructions – It sounds simple, but it’s so important. Whenever you buy any new welding gear, ensure you always read the instructions before the first use. There may be parts or functions that you are unfamiliar with that could be potential hazards. Not even the experts know everything! We are constantly learning, too! Wear the proper gear – Welding tools get extremely hot, so always wear the proper flame-resistant gloves. Securely-worn head and eye protection are necessary, too, in order to guard yourself against sparks, fragments, and spatter. Shock is a danger – Because welders often work with bare wires, metal, and electronics, shock poses a significant risk. In addition, welding tools, just like any other electrical equipment, can cause shock. Always wear dry gloves and insulate yourself. 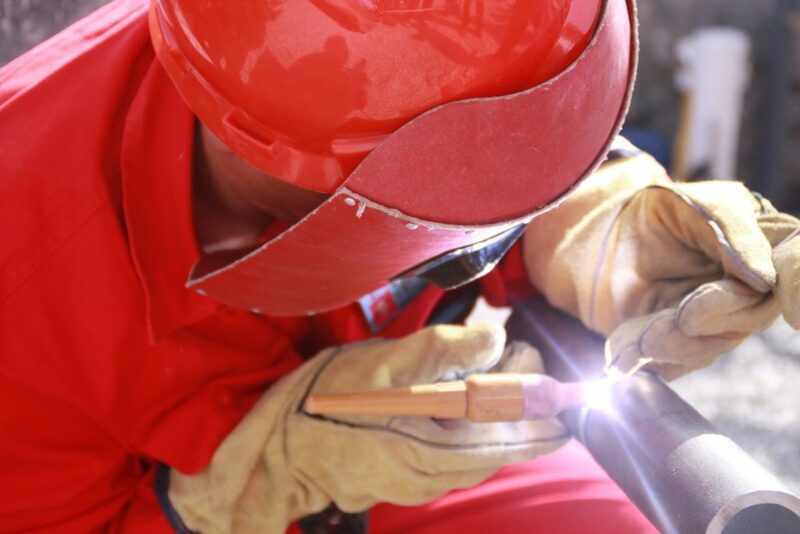 Know the risk of fire – A welding arc can reach nearly 10,000 degrees Fahrenheit. Even when you’re extremely careful, burning hot metal can spatter quite far. Always have a fire extinguisher on hand, as fire is always a potential hazard. Be aware – In general, be aware of who and what is around you. Inspect your area before you begin any project and remove any items that could be a potential danger. Also, know if the materials you’re working with have any hazardous components that could release or create toxic chemicals that would be dangerous to breathe. Even so, always work in a well-ventilated area. Although there are some dangers associated with welding, proper education, training, and common sense are key. Keep in mind the welding safety tips listed above in order to have a successful, problem-free project. If you have any questions or need some mobile welding performed, call West Arc Welding today!